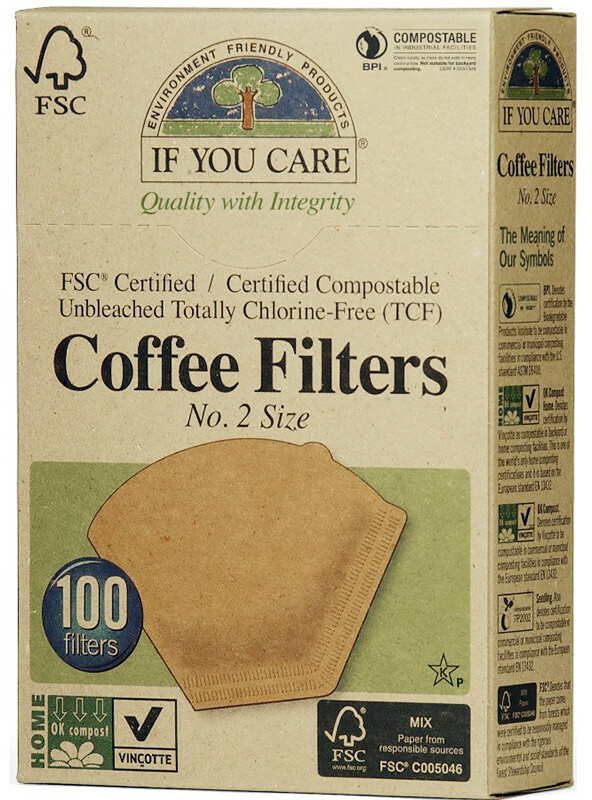 If You Care FSC Certified Coffee Filters are the greenest way to get your morning cup of joe. 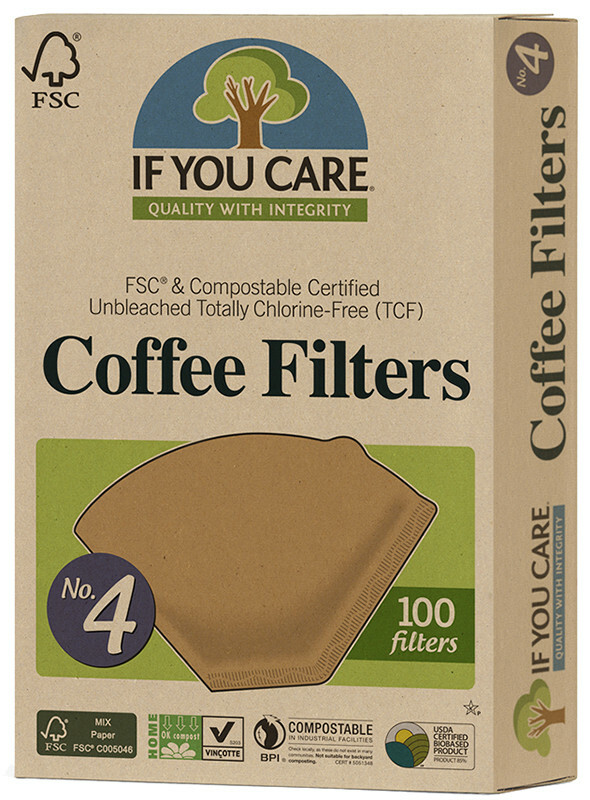 These coffee filters are 100% unbleached, completely clean of any chlorine as well as totally plastic free. Take care of your body and the environment with these FSC Certified Coffee Filters. Did you know? The chlorine bleaches used to whiten paper pulp produce some of the most environmentally deleterious substances known to science. One of the byproducts of improper chlorine bleach disposal is a class of chemical compounds called dioxins. Beyond the harmful effects dioxins have on humans (which include cancer, sterility, and endocrine disruption), they also present a serious threat to aquatic, and marine life. Great coffee filters. Not too dense so coffe ru s through at normal pace. So happy to have found these again - I had bought in a shop previously then couldn't find them. Love that they are all natural and chlorine free! YAY! Value for money. Will be a regular on my shopping list from now on. Finally - Unbleached Coffee Filters! I have been looking for unbleached / chlorine free coffee filters for a while now. They work exactly as they should and I love the eco-friendly packaging as well.